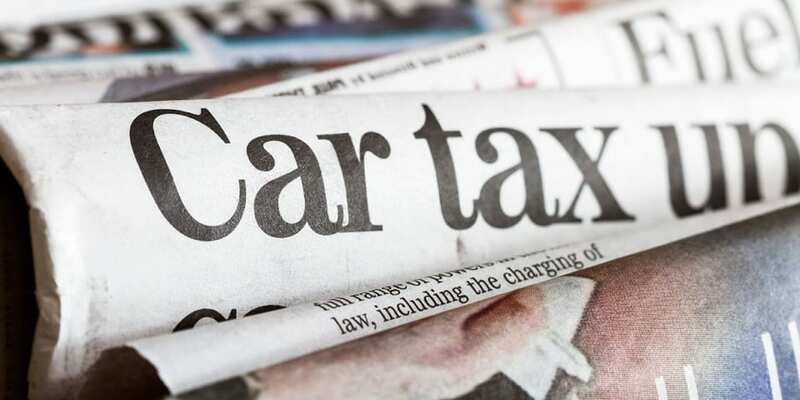 Car tax rates, also known as Vehicle Excise Duty (or VED), have increased as of 1 April 2019. Car owners will likely see a £5 to £15 car tax increase. But those buying a new, highly polluting car will need to pay £65 more in the first year. The standard car tax rate for regular petrol and diesel cars has increased from £140 to £145. For hybrids and alternative fuel cars, it has increased from £130 to £135. Owners of cars that cost over £40,000 previously paid an additional charge of £310 – this will raise to £320 per year, making the total annual payment on these cars between £455 and £465. Electric cars remain exempt from car tax, though are still subject to the £40,000 rule. Keep reading to find out how much you’ll pay, plus find out why hybrid cars are now more expensive to tax. Too much tax talk already? Have a look at our top cars for 2019 instead. The majority of car owners are affected by one of the car tax systems in the UK. The current car tax system affects cars first registered after 1 April 2017 – the April 2019 car tax changes will apply to these cars. The older system affects cars first registered between March 2001 and March 2017. These cars are not affected by the April 2019 car tax changes. Is your car older than this? Check out what you have to pay by heading to our car tax guide. What’s the first registration date? This is the date the vehicle was registered to its first keeper in the UK. The first registration date does not alter with subsequent owners. So a car bought brand new and registered on 1 July 2016, and then sold to someone else on 1 August 2017, will always have a first registration date of 1 July 2016. What are the new car tax rates? Our car tax tables show the existing and updated rates that apply to all cars first registered after 1 April 2017. In the first year, what you pay is based on your car’s CO2 emissions. Scroll down to see what you’ll pay from the second year, and if you want to see the rates for diesel cars that don’t meet the RDE2 standard, plus the car tax rates for hybrid and alternative fuel cars, including electric cars. See our expert pick of the best hybrid cars. Confusingly, the ‘additional rate’ is added to the standard for five years. That means that if your car cost over £40,000, you pay the additional rate from years two to six of ownership. You then resume the normal standard rate. Check out our best luxury cars for 2019. Under the older car tax system, which applies to cars first registered between March 2001 and March 2017, hybrid and low emission cars were exempt from paying any car tax. This was to encourage people to buy greener cars (although a lot of diesel cars would have also fallen into this bracket). But under the newer car tax system, only cars with particularly low emissions are exempt in the first year of ownership. But they are then subject to a standard rate of either £135 or £145 per year. Take, for example, the current Toyota Prius Plug-in hybrid. It has official emissions of just 28g/km of CO2, which is remarkably low. If the car was first registered before April 2017 (right when it was launched), its owner would not pay any car tax whatsoever. Anyone the owner sells the car to would also continue to enjoy a car tax free life. However, if the car was first registered on or after 1 April 2017, the owner would now pay £15 in the first year of ownership, and then pay £135 per year after that. After 10 years, the owner will have paid a total £1,215 on car tax, whereas the older hybrid owner would have paid none. It’s the opposite story for a high CO2 emission car. The diesel Ford Ranger (3.2-litre diesel, 200hp), has an official CO2 emission figure of 231g/km. It therefore produces over eight times the amount of CO2 as the Prius-Plug-in. a whopping £2,135 of car tax in the first year (which is an increase of £65 compared to before April 2019). Under the older car tax system, the owner will have paid £5,880 over 10 years. Under the newer system, thanks to the standard year rate, the owner will pay just £3,440 over the same period. While still noticeably higher than the Prius, it is still a 10 year saving of £2,440 compared with the older car tax system. What about the cars in between these two extremes? We compare a number of cars with low to high CO2 emissions in our car tax guide.